Acryl and lucite became popular long ago: they bring a gorgeous contemporary feeling to any space. 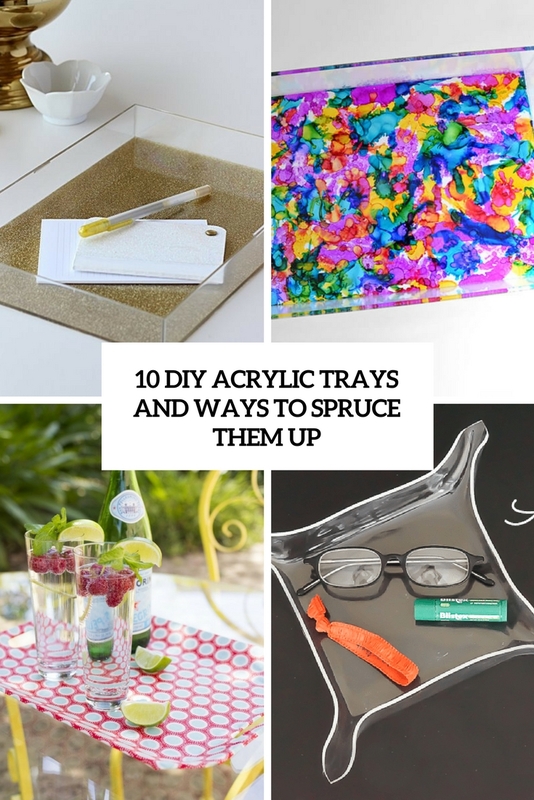 If you like such decor and want to spruce up your space with something acrylic, a nice tray for jewelry, keys and other stuff will be a cool idea, besides, it won’t take much time to make. Here are some DIYs you may like. 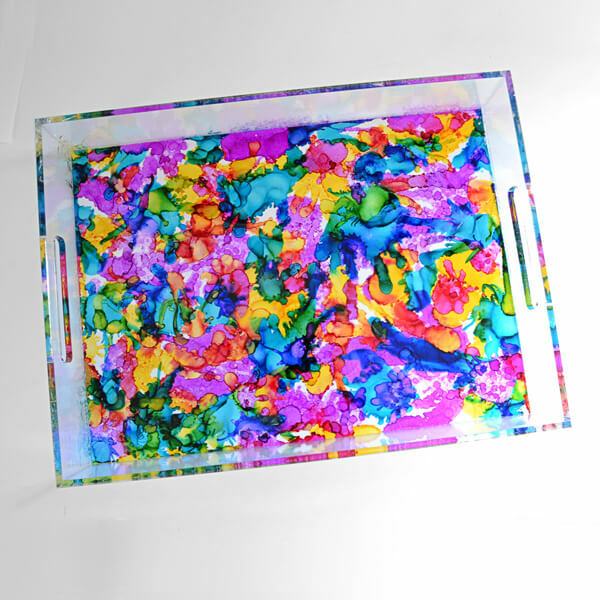 Make a usual acrylic tray a bold and interesting piece layering the bottom with chic printed paper of the color and look you like. Such a craft will take a couple of minutes and will be a nice piece to style your home bar or to use as a trinket dish. It will also do for jewelry and other small stuff, enjoy! Abstractions and watercolor are a hot trend in home decor, and you may add these ideas to your home, too. Take a usual acrylic tray and decorate it using bold paints – go for watercolors or abstraction. Voila! 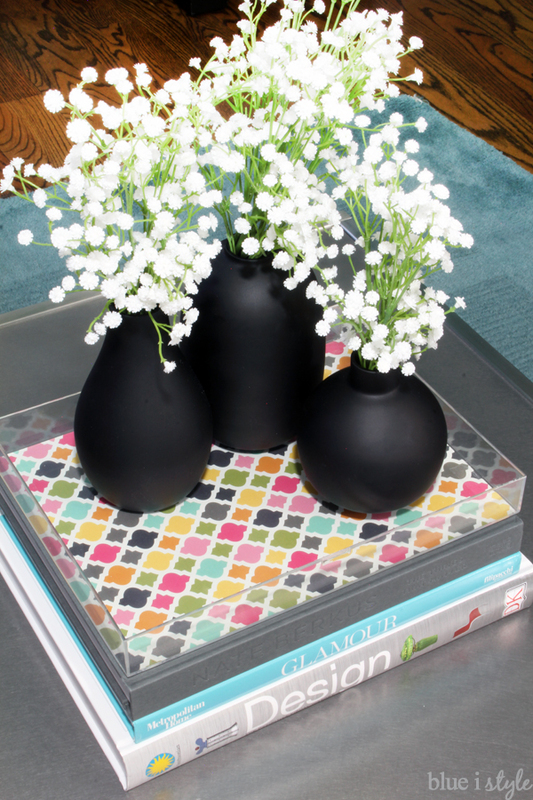 This tray is great to use as a catch-all one, it’s bold and you’ll never lose your keys on it! 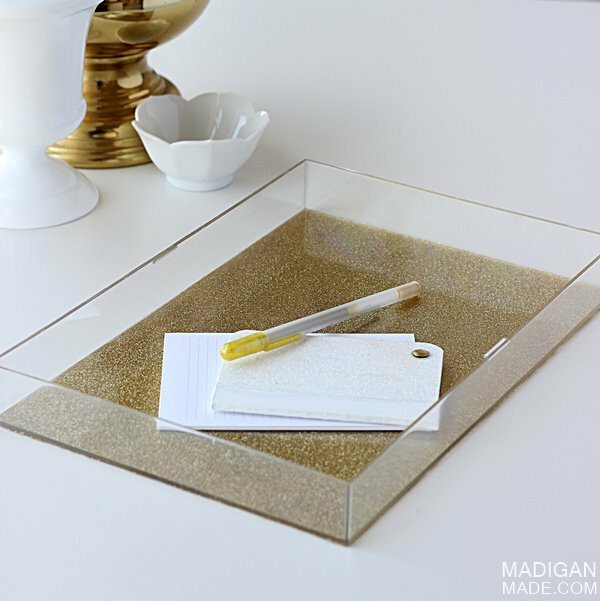 A clear acrylic sheet can be turned into a chic and refined tray! How? Attach elegant gold bar handles and paint the whole acrylic piece with some bold paint of your choice, here it’s blue. 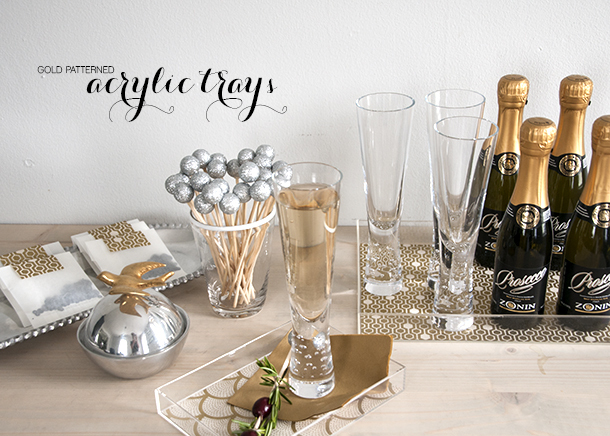 Such a tray can be used not only for serving something but also for styling a home bar or a home office. 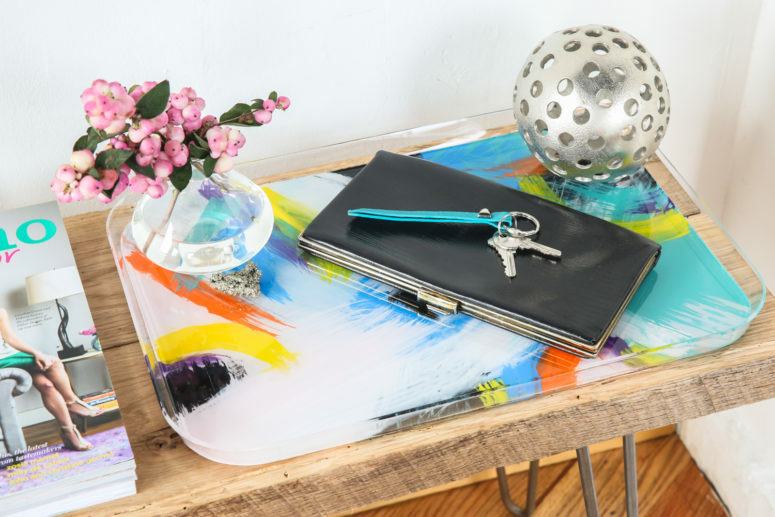 Bring a bold spring touch to your room with a colorful acrylic tray! Take a clear one of your choice and layer it with bold patterned self-adhesive paper – that’s it! It’s a five-minute craft and if you choose the right paper, it will instantly bring a spring feel to your home. Marble is stylish and chic, it’s a timeless solution for home decor. 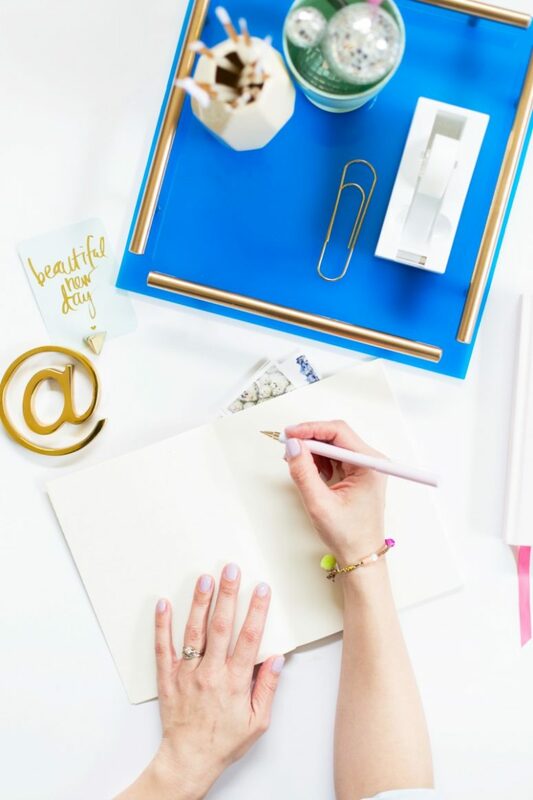 This acrylic tray features bold marble paper with gold touches and elegant brass handles. You can actually choose any marbleized paper you like or make some yourself to achieve a desired look. 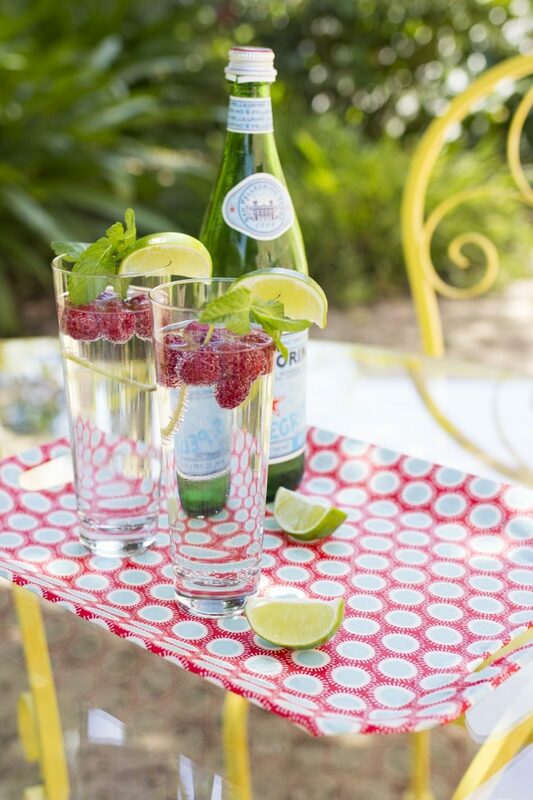 Make a colorful drink serving tray using a usual acrylic tray and some bold printed fabric. Attach it using glue or Mod Podge and voila! Such a tray can be also used for serving food and for picnics or various kinds. Choose the fabric you like to create a desired look. I totally love this elegant lucite tray! It’s made of a clear acrylic frame, which is spruced up wit gold glitter, so the result is very elegant and fits a contemporary space. this tray can work as a jewelry one or a trinket dish, and a slight glam feel will add elegance. 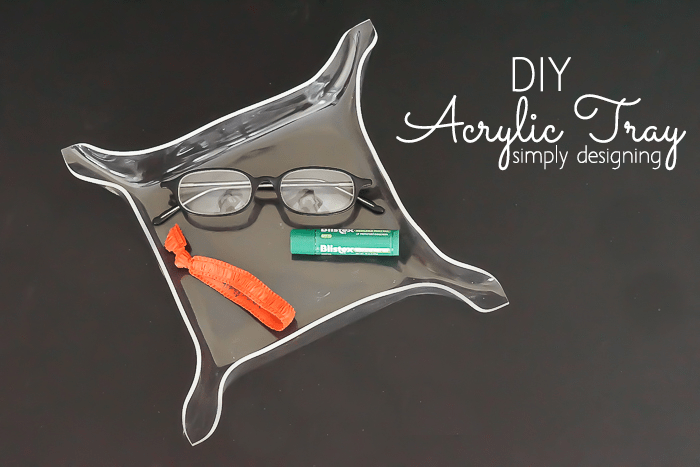 Here’s a way to make a clear acrylic trinket dish shaped as a leather one – such a bold idea! You’ll need an acrylic tray and a heat gun to change the shape of the tray and some more supplies and instruments to make the tray. This is a great idea for any space as it’s universal and can become a nice gift for both guys and girls. 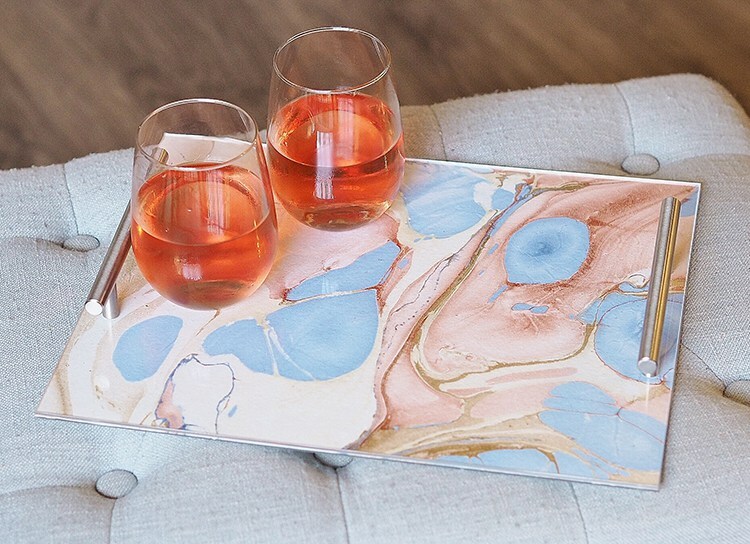 Make a crazily colorful acrylic tray using alcohol inks and a clear tray. This bold piece can be used for serving drinks or as a catch-all tray, it’s colorful look makes it a great piece for spring and summer. Make one for a colorful statement in your room. This tray is highlighted with printed paper – it’s usual printed paper secured with double-sided tape. You can go for any paper you like but black and white is a universal thing to go for, it fits many interiors. 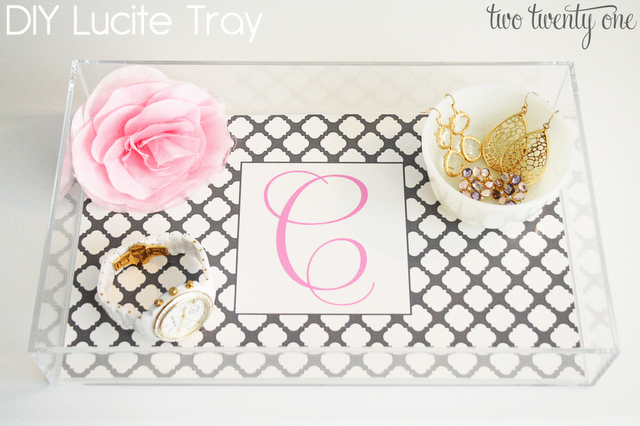 Use the tray as a jewelry holder or a catch-all tray.